Planning theory has always been criticised by a number of practitioners. They are of the opinion that planning theory does not make sense. It does not link planning practice. Sandercock and Forsysth, 1992 argue that there is a huge gap between planning theory and planning practice. However, there are some other planners who believe that planning theory plays a significant role in planning practice and cannot be ignored. Friedmann, 2003 argued that planning practice cannot exist without planning theory. Planning theory acts as a base for the planning practitioners to present solutions to the practical problems in planning. The planning system would not work without theories. Theories act as a base for the planning practioners. 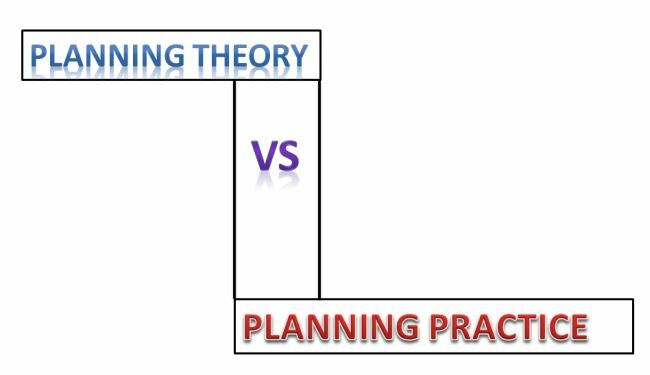 A lot of confusion revolves around the relationship between planning theory and planning practice. I decided to interview one of the planning practitioner. I had an opportunity to interview one of the councillors named Paula Goncalves at Brighton & Hove City Council. Her point of view was in favour of planning theorists. Theorists try to make sense of what happens in planning (how policies are devised, how decisions are made, how particular interests influence policy making and implementation, the role planners, politicians, developers, communities and others involved in the planning process interact and so) . There are various ways in which theorists do this. Some seek to identify patterns and to describe/explain in a structured manner how planning works to produce in order to improve how things are done. Others use seek theory to communicate a more radical vision of places should be like, their utopia, let’s say. What is clear is that planning theory changes over time and even at any particular time it is likely that there will be a number of different, at times, competing visions of what planning should do.